The Equal Employment Opportunity Commission has announced a $2.85 million settlement in an age discrimination lawsuit against Seasons 52, part of the Darden family of restaurants. In announcing a $2.85 million settlement in an age discrimination lawsuit today, the Equal Employment Opportunity Commission’s acting chairwoman congratulated her civil rights agency. 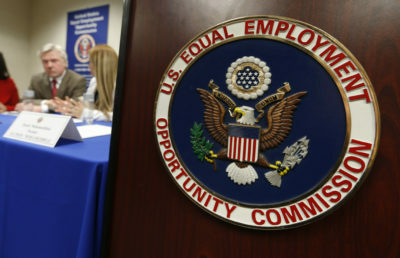 “I am very proud of the relief the EEOC has obtained here … to ensure that applicants and workers do not face this sort of discrimination in the future,” Victoria Lipnic, a longtime commissioner appointed as acting chairwoman by President Donald Trump last year, said in a statement. But Lipnic actually voted against bringing the lawsuit in the first place. It’s an example of the kind of ambitious civil rights lawsuit that may not happen once Trump’s other nominees are confirmed and the five-member commission swings from a Democratic majority to a Republican one. Back in 2015, the commission’s general counsel wanted the go-ahead to sue Seasons 52, part of the Darden family of restaurants, for systematically discriminating against job applicants over the age of 40 at restaurants nationwide. Lipnic and the other Republican commissioner voted against filing suit, while three Democrats voted for it, clearing the path that led to the nearly $3 million settlement. In the end, more than 135 job applicants gave testimony that Seasons 52 managers asked them their age and made comments such as, “Seasons 52 girls are younger and fresh,” according to the commission. The settlement also requires the company to change its hiring processes and pay for a compliance monitor to make sure it doesn’t discriminate anymore. A Seasons 52 spokesman said in an email: “We are pleased to resolve this EEOC matter. Putting this behind us is good for Seasons 52, good for our team members and good for our shareholders.” Its parent company, Darden, also owns the Olive Garden and LongHorn Steakhouse chains. After Lipnic was appointed acting chairwoman in early 2017, a Reveal review of commission votes found that she voted against pursuing 20 lawsuits in her previous seven years as a commissioner. The other Republican commissioner serving with her voted against more than twice as many cases. If a majority of the commission votes against bringing a lawsuit, the agency’s findings of discrimination may never become public. The commission discloses its investigations only if there is a lawsuit or if an employer agrees to it as part of a prelitigation settlement, which is rare. Republicans and business groups have criticized the commission for pursuing large-scale, systemic cases, favoring a focus on reducing the commission’s backlog of individual complaints. A Republican majority on the commission may lead it in that direction, but two Trump nominees still are awaiting Senate confirmation. One of them, retired Army Lt. Col. Daniel Gade, once called the idea of women in ground combat “laughable,” though he said his views have changed. Trump also nominated a new general counsel, Sharon Fast Gustafson, who has signaled that she may be less aggressive in filing lawsuits and pursuing national systemic cases. If she is confirmed and steers away from cases such as the one against Seasons 52, they might not even come to the commission for a vote.